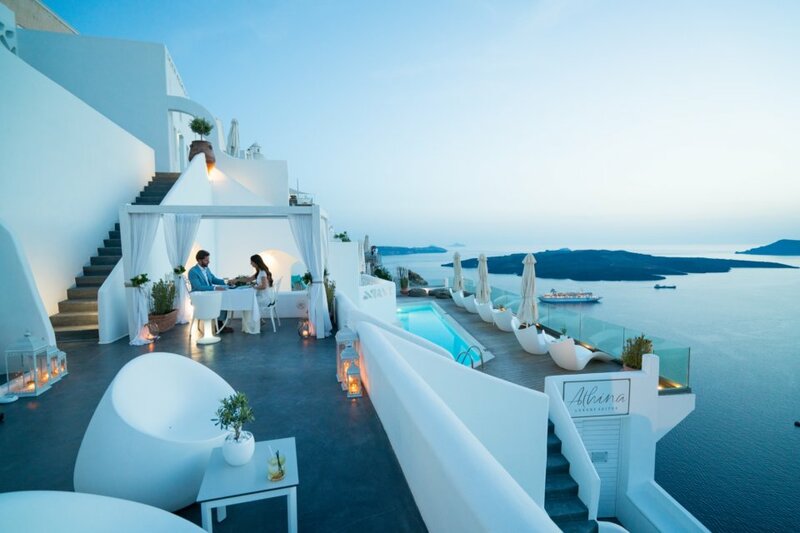 Perched on the cliffs of the caldera, our boutique hotel puts you in the most sought-after location in Fira. Just meters away from the vibrant town center, Athina Luxury Suites immerses guests in tranquility. Breathtaking views, world-class service and exquisite accommodations combine to create a once-in-a-lifetime experience. Imagine embarking on your new life together by exchanging vows while looking out over the endless sea. Our expert wedding planner can assist in planning your dream ceremony and reception. Start the adventure of a lifetime in lavish style at Athina Luxury Suites. Whether you are interested in a chic civil ceremony or an elaborate traditional service, our wedding planners work with the most sought-after vendors in Santorini to organize your ideal wedding. From vow renewals to symbolic services, your event will be flawless, unforgettable and uniquely you. 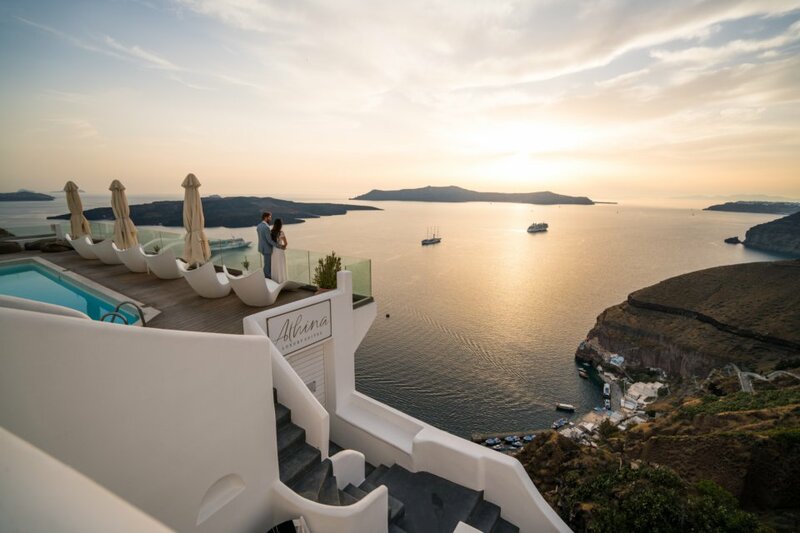 A world-class menu, combined with upscale ambiance, attentive service, and striking views of the caldera make Esperisma a fine banqueting venue. Our attentive staff completes the experience by ensuring your every need is met.